We already told you Moto E4 passed FCC certification, but there is a deficiency of images of the upcoming device. According to famous leakster Evan Blass, the alleged Moto X (2017)render we saw in Moto USA’s 44th-anniversary video was actually of the new E-series smartphone. Leaks of the Moto X (2017) started coming up, but since they look a lot like the render, they might be of the Moto E4. Looking at the positioning of cellular bands, camera setup, and the circular M logo, it's actually very likely. 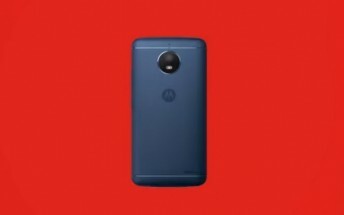 Here’s a quick rundown of the Moto E4 specs that already leaked: a 2,800 mAh battery, 4G LTE, Bluetooth 4.2 and 2.4 GHz Wi-Fi connection, plus 16GB of storage. The device, unsurprisingly, runs on Android 7.0 Nougat. We are yet to hear from Lenovo about an official unveiling or market release dates.